I copy here several pieces I wrote some time back, in the late summer of 2015. Some colleagues of mine and I had set up a small network of Centrist-Whig policy thinkers under the somewhat pretentious working title, “The Henry Clay Institute.” Alas, life happened and we all got busy, and we put the project on hold for some time. I am re-posting these pieces, on a couple of policy issues, for the sake of having them saved on my blog. Welcome, dear reader, to the Henry Clay Institute. The HCI is a group of centrist, reformist, nationalist political thinkers and policy wonks across the United States, all dedicated to resurrecting the American Whig tradition and updating it for the 21st Century. A conservative temperament about human nature, a penchant for energetic but limited government, an overriding concern for national union- these are the defining characteristics of Whigs across the centuries. From Alexander Hamilton to Henry Clay, through Abraham Lincoln to Teddy Roosevelt, best expressed in the 20th Century through Dwight Eisenhower, the Whigs have been nation-builders and guardians of Americanism. National greatness and individual opportunity have been their prime directives. And they have by and large succeeded. Unfortunately, though some key politicians and thinkers display the tendencies of Whiggery described above, there is no longer a Whig movement in the United States. This crucial tradition has been lost for all practical purposes. We at the Henry Clay Institute intend to bring it back. Through periodical columns and reports, we will build the intellectual foundations of a new American Whiggery, and invite centrist politicians of all partisan persuasions to join our quest for a better future for our country. In time, we hope our research inspires a broader movement. If you’re interested in being a part of this project, contact one of the co-founders, Luke Phillips, at lukenathanphillips2012@gmail.com. We look forward to hearing from you. You’re most likely a concerned American; that’s what led you to this column. And regardless of where you’re from or where you’re going, you’ve probably noticed a couple of things about the state of the Republic. Our government doesn’t work. We’re stuck in a bureaucratic governing model- and, for that matter, a political language- that was designed in the era before globalization and the internet. It was clunky to begin with. And it no longer works. Our government is bought. Decades of solely financial growth has both exacerbated inequality and privileged the political power of the very rich in ways not seen since the Gilded Age. We live in a democratic oligarchy, and it’s not going away any time soon. We don’t know who we are or why we’re here. We’ve lost our capacity to articulate ideas about what makes us special, and we no longer have a sense of national purpose. We’re a nation that’s lost its soul. And very few of our national leaders are bringing any convincing and reasonable solutions to the table. The redistributionist narratives of the Left and the libertarian ideology of the Right are boring, overused, and inaccurate. 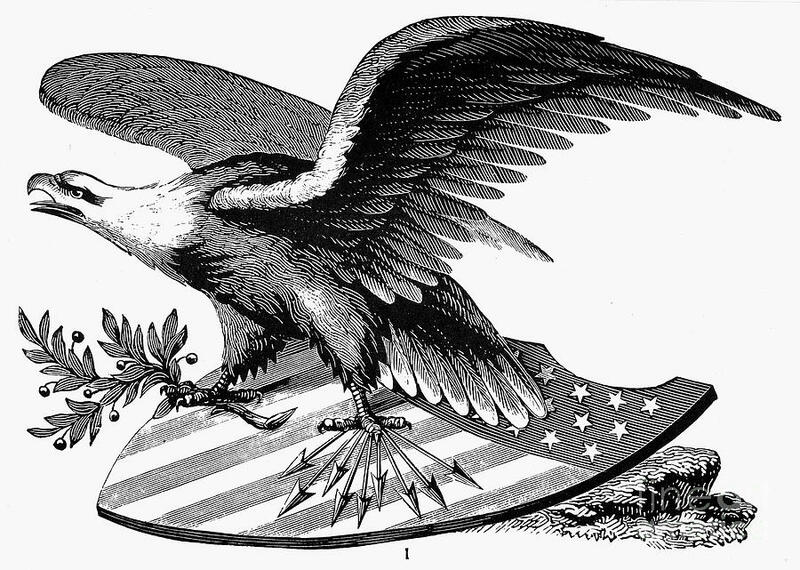 Whigs sought to use the power of government for a wide array of national purposes- to promote broad-based economic growth and opportunity, to spur technological advancement and modernization, to unite the nation with infrastructure. But they did not seek to manage the economy, to perfect society, or to serve entrenched interests like corporations and bureaucracies. And since its role was limited, government could- and usually did- accomplish its aims efficiently. The Whigs’ preferred tool was energetic, yet limited, national governance. Everything Whigs did in government was in service to the greatness of the American nation and the opportunity for individuals to better their lot in life. They were truly the party of the American Dream. But Whiggery has largely disappeared. It persists, but only survives. This is dangerous- the small-government and big-government ideologies now dominating Washington cannot provide the answers to the challenges America faces. The Whigs must rise again. And to do that, we must first think up and articulate the ideas of a 21st Century Whiggery, and disseminate them far and wide. We must approach contemporary issues with the wisdom of our forefathers. We can provide a blueprint of the future informed by the lessons of the past. That’s what I intend to do with this weekly column. “Pave the Way!” will run in Modern Whig Party-published media and, hopefully someday, in more widely-read outlets. It will explore Whig philosophy and policy for the 21st Century, providing cultural commentary and analyzing policies at the national, state, and local levels. It will incubate the ideas necessary to fuel a Whig revival. This should be an interesting journey. Stay tuned. These last few months, the U.S. Congress has been working on bills that address crucial questions about the nation’s economic future. In particular, Congress passed the “Doc Fix” bill some time ago, and will likely pass an infrastructure bill soon. This last week, the Senate and House have passed different versions of a bill to fund highway repair. The one that gets past both houses will probably only be good for three months. Both of these stories illuminate the mediocrity that passes for lawmaking in today’s polarized Washington. Doc Fix has been an issue for the last two decades. There is nothing particularly innovative about the bill- it just verifies a payment transfer system. Our healthcare system remains the same. The highway bill leaves much to be desired, too. It’s a stopgap funding measure that pays contractors to patch up some decaying interstates- the same transport infrastructure we’ve used for over a half-century. Neither of these patchwork bits of legislation does much of anything to fix either our budget deficit or our investment deficit. Meanwhile, mandatory spending (that’s entitlements, folks, and we can’t reduce it arbitrarily) continues to skyrocket and drive up our deficit, while discretionary spending (of which infrastructure spending is but a fraction) remains low. And the American Society of Civil Engineers gave America’s infrastructure a “D+” in 2013, in their most recent infrastructure report card. What we have here is a severe case of misplaced priorities. Every year, almost two-thirds of the federal budget– over $2 trillion– goes into Medicare, Medicaid, Social Security, and various other entitlement programs. Meanwhile, less than $300 billiongoes into infrastructure, innovation, and education- the three chief “Hamiltonian investments.” That means that we spend roughly seven times as much on middle-class redistribution as we do on productive investments. Entitlements are one-time expenditures. But infrastructure, education, and innovation are investments that pay for themselves in the long term. We’re throwing money down the drain. If Congress’s objective is indeed increasing the size of the national pot of gold rather than merely filling the retirement accounts of its constituents, it should reorient its policy toward bold entitlement reform and better-funded Hamiltonian investments. It doesn’t even have to decrease the overall size of the federal budget- it just needs to make some great compromise to shift money around. There would be three components to such a compromise. First, overall spending would not decrease. If investments are done properly, they can help to grow the economy, increase federal revenues, and gradually eliminate the deficit and debt. Second, there would be comprehensive entitlement reform that reduces overall entitlement spending by at least 20%. This would require amendments or even total overhauls of several federal laws. It would be wise to look, too, for new entitlement models for the digital age, instead of just figuring out how to make the old model work. Finally, the cuts from comprehensive entitlement reform (probably totaling around $400 billion) would be directly invested in infrastructure, education, and innovation, more than doubling our current Hamiltonian investments. And they wouldn’t just go into the pockets of contractors and unions- they’d have concrete goals attached to them, such as a cure for Alzheimer’s disease, universal computer education, or programming a nationwide driverless car network. We’re talking generational shifts. Policy should be forward-looking; we should talk about building the institutions of the future, not stewarding the programs of the past. A massive compromise proposal of this sort-one that would modernize and streamline our entitlements system, give our investments a new direction, and shift the balance of the budget- would be the epitome of the Hamiltonian way. However, military spending-which takes up about $600 billion- includes more innovation spending. It’s not clear how much, though. New Workers in an App Economy? With controversies over the ride-sharing app Uber in locales as diverse as New York, France, and California, and with multiple 2016 presidential candidates opining on tech issues, one thing is clear- the “app economy” is disrupting the old ways of business. Today, taxis and hotels. Tomorrow, what? Healthcare? Education? Insurance? Finance? America’s regulatory and governing institutions have been slow to catch up to the technological innovations that have already transformed many sectors of business and commerce, as well as social life. And attempts to provide a blueprint for the new model- most conspicuously, Lt. Governor Gavin Newsom’s Citizenville– have generally fallen short on the policy meat. Out in California, there’s a legal case that may well escalate into a class-action lawsuit, pitting Uber’s current and former employees against the corporation. The issue? Some former Uber drivers (not all) would like to be classified as employees rather than independent contractors. This, of course, would grant them all the benefits of employees, including healthcare, and job security. Uber would prefer not to classify them thus for obvious financial reasons, but it also has its brand on the line- the tech entrepreneurs who built the company see it as a revolutionary new business model based on contracting and IT, rather than just a particularly glitzy taxi company. And who’s to say one or the other is right? In an age of accelerated creative destruction, workers do need more protections and benefits. But if the spirit of the age is decentralization and democratization, are the old mid-century ways of doing business really viable or desirable? The labor advocates will insist that Uber and other companies like it provide extensive worker protections, forcing an old labor model onto 21st century companies. The corporate advocates will hide behind trickle-down ideology and insist on the independent contractor model as the wave of the future. And in the end, both sides will be right. Workers need protections, and businesses need flexibility. But what is important now is not so much defining what kind of workers these new laborers are- that distinction was only valid in an age when there was, in fact, a distinction. Given the nature of their work and their relationship to the parent company, Uber drivers are both independent contractors and employees. Regardless of its flaws, it seems Obamacare has delivered us the safety net model of the future- health insurance and other benefits based on a compact between the individual and the government, rather than between the individual and their employer. People are only going to keep switching jobs more- it would be better for them to have a government security account, perhaps universal unemployment insurance, to fall back on. That’s what true progressives- and Whigs- should be focusing on now when thinking about the app economy. Licensing requirements, regulatory reform, and other adjustments will be crucial, but if we want the app economy to become our new low-skill, high-wage, mass-employment middle-class sector- which it very well might, if it continues to infect older sectors- we need to design a new social model with periodic unemployment, multiple employment, and other new trends in mind. Especially if companies in other industries begin using this hybrid worker model, as the IT revolution will likely impel them to. Debates about old categories just don’t cut it. We need people thinking up new ways of doing things, testing how they work, and implementing the most successful practices. That’s how we move forward into the next American economy. Out on the San Luis Obispo coast, California’s last nuclear plant- Diablo Canyon- may be breathing its last. The Breakthrough Institute recently published an articledetailing the consequences of the plant’s closure. “Shuttering Diablo Canyon would have the same impact on carbon emissions as tearing down every wind turbine and rooftop PV panel in California. If Diablo Canyon is closed it will be replaced mainly by fossil fuels because replacing the nuclear power plant with an equivalent capacity of wind and solar would cost upwards of $15 billion compared to about $2.5 billion for a comparable natural gas plant. The high cost of solar and wind is why, after Friends of the Earth and other antinuclear environmentalists forced the closure of California’s San Onofre nuclear power plant in 2013, Southern California’s power became dirtier, with most of the replacement power coming from natural gas. California has a few energy options on the table right now. Coal is dirty and cheap. Oil and natural gas are less dirty but still cheap. Nuclear is clean and expensive. Hydroelectric is clean and expensive (but there aren’t many more rivers available for damming.) Wind and solar are clean and super-expensive. Wind and solar are super-expensive because, as those technologies are currently configured, they just don’t provide as much bang for your buck as, say, oil or coal or gas. Or nuclear. Which means that in order to provide, with wind and solar, the equivalent energy a nuclear plant is capable of providing, you’re going to need a lotof wind and solar plants. And that, ultimately, will be more expensive than a single nuclear power plant. You can see why, as the Breakthrough report notes, people reverted back to gas when San Onofre shut down. Now, this is not to say that there’s absolutely no merit in wind and solar technology- in the future, there may well be, but it will require more research and development. In the meantime, if we’re going to reduce carbon emissions to zero (which would be beneficial for a number of health and environmental reasons besides fighting climate change) we need a more pragmatic strategy. I outlined such a strategy at NewGeography a few months ago. 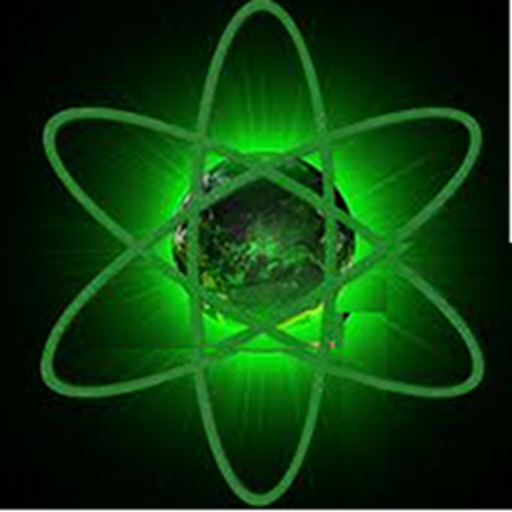 California- and the United States, really- could use a fleet of highly-advanced nuclear reactors. The money and technical skill are there, and there’s plenty of open land out west available if you want to avoid urban NIMBYism. The benefits are incalculable- carbon-free, abundant, cheap energy for a longer period of time than most would care to think about, complete energy independence, and a booming new sector based entirely in the homeland. And, as I like to say, why harness the power of the sun when you can have the heat of a thousand suns at your disposal here on Earth? The only sort of government that could carry out a national economic plan of this sort, though, is an activist Hamiltonian one. Current liberal dogma eschews the very mention of any energy plan besides “sustainability” and caps on power use, while conservative ideology opposes the significant government investment and intervention that a comprehensive energy plan would require. Only the big-spending, pro-growth centrist types would seriously consider a proposal like this. And right now, they are next to powerless on the national stage. If such a nuclear strategy were to take hold, then, it would most likely have to start in one of the fifty states, where lower-stakes politics would grant enterprising centrist politicians more room to maneuver. And it would probably have to be in a blue state, with a political culture already accustomed to big projects and environmentalist rhetoric. California is arguably the best place to start. Beset as it is with worsening inequality and declining social mobility, no state in the country could more deeply desire a source of cheap, abundant energy. Cheap energy could drive down the cost of housing, utilities, services, transport, and basically everything else, allowing Californians to keep more of their earnings and rise on the socioeconomic ladder. But moreover, California has already set itself on a crusade to stop climate change. There are echoes of John Winthrop’s “cittie on a hill” speech in that objective, as Governors Schwarzenegger and Brown have sought to catalyze a revolution in climate and energy policy across the country and world by providing a working example of zero-carbon restraint in California. Predictably, no other states have shackled themselves to stifling cap-and-trade laws, and California’s carbon emissions have not declined significantly. By focusing on propping up presently-unworkable renewables and curtailing the use of energy- and thus economic growth- California is only shooting itself in the foot. It would be far better if California sought to build a network of nuclear plants out in the Mojave or along the Central Coast. As Breakthrough demonstrates, a single plant can prevent a lot of carbon from being released into the atmosphere. What could five, or eight, or twelve do? In this model- the Hamiltonian environmentalist model- broad-based growth and opportunity are allies with environmental consciousness. The technology that can bring our economy and infrastructure into the next age of abundance and prosperity is the same technology that can reduce our carbon footprint to zero. We need only be willing to invest in it. So there you are, Governor Brown. You can save the planet and help Joe the Plumber with the same fell stroke. I hope your successor embarks on that path. The chief debate in modern economic policymaking revolves around the question, “What is the economy for?” What values should guide the decisions of bankers, regulators, and politicians? Which ends are worth striving for, and which are superfluous? Different schools of thought provide different answers to this question, and at any point in time some hold noticeably more influence than others. From about the 1930s to the 1970s, Keynesianism dominated American economics, promoting stability and moderate growth. The great deregulation of the 1980s and 1990s was a laissez-faire enterprise focused on promoting maximum absolute growth amidst greater instability. Further to the right of these neoliberal economists are dogmatic libertarians, who hold that economic policy should maximize individual liberty and promote competition for its own sake. And the social democrats of the far left believe economic policy should promote equality and justice. All these schools of thought have their own preferred policy options. Keynesians employ cash infusions and bailouts, protective industrial policy, and various manipulations of tax and regulatory codes. Neoliberals promote financial and corporate growth through deregulation. Libertarians believe the government’s job is simply to get out of the way so far as is possible, to allow entrepreneurs and strivers to do their good work. And social democrats tend to favor redistributionist entitlement schemes, massive investments, and mandated high wages to fight poverty and inequality. The relatively intangible objectives of these four schools- stability, growth, liberty, and equality- are all noble in themselves, but none should make up the core purpose of economic policy. Keynesian policy tends to stultify innovation and competition. Neoliberal policies lead to financial volatility and crushing inequality. Libertarian policies do not recognize the government’s role in ensuring a fair playing field, and are particularly conducive to corruption and plutocracy. And the high-minded ideals of social democracy are unrealistic and tend to discourage independence and dynamism. What, then, should the guiding purpose of the American economy be, and what sorts of policies should be pursued to fulfill that purpose? There’s a fifth tradition of American economic policy that has been around with the Republic since the Founding, and it has played a particularly important role in times of great national crisis. It could be called “Strategic Economics.” Its core purpose is national sovereignty, and its means are strategic government investment, public-private partnership, financial stability, and healthy business climate. Interestingly, the aims of each of the other American schools- Keynesian stability, neoliberal corporate growth, libertarian liberty, and social democratic public investment- are met, in various unique ways, through Strategic Economics. The Strategic Economist begins policymaking with a question: If the United States were confronted with a grave national crisis where the sovereignty of the Republic and the American Way of Life were at stake, what institutions, resources, and practices would the federal government need in order to marshal American strength to confront the challenge? In other words, what would our economy need to look like to supply us through a major war? There’s much historical precedent for this way of thinking. Alexander Hamilton’s economic plans, including the Bank of the United States, the protection of infant industries, and the assumption of state debts, were aimed at binding together the disparate states of the union against the threats of both civil war and foreign intervention. Henry Clay’s American System, with its network of internal improvements and tariff to support American industries, was similarly premised on using the power of economic policy to promote national union and strength. The first real test of Strategic Economics came with the crisis of the union in 1861. Many historians attribute the Union victory in the Civil War to the North’s superior industrial capacity; not enough of them trace that capacity to Abraham Lincoln’s prudent economic policies. Protecting and supporting strategically crucial industries like railroads and armaments manufacturers, building infrastructure to move troops and supplies to the front lines, and reviving central banking to ensure a stable credit helped keep Union forges burning. Other policies of Lincoln’s, such as the provision of free land in the West to settlers and the establishment of agricultural colleges, were strategic in a longer-term sense indirectly related to the war effort: booming Union settlement in the West could give Washington D.C. added strategic leverage on the American continent in the event that the North was unable to bring the South back into its fold. While Lincoln’s generals were out playing tactics, the President was thinking logistics. And good logistics saved the Union. Between the Civil War and the First World War, America’s expanding colonial empire required it to practice Strategic Economics more constantly than ever before. The best example of this was the construction of the Great White Fleet under the Theodore Roosevelt administration. But largely because of the absence of significant, pressing threats to the Republic, the system tended towards plutocratic decay that required constant reform. The American entry into the First World War in 1917 necessitated another mass mobilization of the American economy, and President Wilson’s economic programs resembled those Lincoln practiced a half-century earlier. Government partnership and cooperation with major industries, central banking to ensure a steady credit, and new infrastructural projects helped the war effort significantly. But the World War One mobilization of the American economy paled in comparison to the intensity of the mobilization during World War Two. President Franklin Roosevelt’s administration had been experimenting with Keynesian policies during the Great Depression, but the strategic requirements of waging total war on Japan and Germany booted the American economy into production-based action. Finance was monitored, new infrastructural projects were laid out and constructed, and the major industries were brought into partnership with the government in defense of the national interest. All the resources of the American economy were brought to bear in a titanic Arsenal of Democracy, and at a strategic level, America’s ability to supply itself more effectively and longer than the other belligerent powers was what ensured its relatively swift victory and favorable strategic situation when the armistice came. But even before 1945, a new crisis was brewing. The 45-year period of strategic competition with the Soviet Union that was the Cold War froze international politics into a state of constant crisis, and thus the United States made many of the same investments and pursued many of the same policies that it ordinarily would pursue in wartime. Eisenhower’s completion of the Interstate Highway System, Kennedy’s Space Program, the Second Offset Strategy, and the massive government investments in computer technology and biotechnology through DARPA and the NIH all helped America compete with and eventually outlast the Soviet Union. And incidentally, while these policies were put in place for strategic reasons, their domestic effect was increased prosperity and opportunity, and a better quality of life, for the burgeoning American middle class. A set of policy principles can be distilled from the historical experience of Strategic Economics. First off, the fundamental goal of economic policy should be to prepare the nation for a crisis on the magnitude of 1861 or 1941. Surprises happen in international politics; all we can do is be prepared. Second, strategic public investments in infrastructure, innovation, and education are crucial. These three “Hamiltonian” investments keep the nation on its toes, by smoothing the flow of supplies and people, moving technology forward, and training a skilled and entrepreneurial population. Smooth transport, advanced technology, and an intelligent population are all crucial to any war effort. Incidentally, these investments are exactly the ones that create new industries, make economic fluidity easier, and build human capital- crucial for a thriving domestic economy. Third, public-private partnerships and industrial policy are the best way to accomplish technological, infrastructural, and production goals, and they keep the supply chain based in the homeland. It’s common knowledge that the government itself isn’t the most effective of institutions, but it does have the capital necessary to finance risky ventures unattractive to investors. Meanwhile, business and the professional sector have the expertise necessary to accomplish important goals, but they themselves can’t set strategic agendas or, typically, finance themselves with the massive reserves of upfront capital required to accomplish those strategic goals. Public-private partnership, then, unites the strategic and fiscal power of government with the innovative power and technical efficiency of private industry. Fourth, a stable financial climate and a relatively benign business climate are necessary if the nation is to retain attractiveness for investors and entrepreneurs. This stable and friendly business climate cannot exist on its own- the government needs to step in with investments and public-private partnerships to drive the economy- but there will be more fluidity and innovation in an economy with reasonable regulations, simplified taxes, and a general orientation towards flourishing business. Strategic industries will thrive most in this sort of economy. Incidentally, these three policy baskets- strategic public investments, public-private partnerships, and a better business climate- are empirically more conducive to innovative dynamism, broad-based economic growth, and increased social mobility than the policies of the Keynesian, neoliberal, libertarian, and social democrat schools. The goals of the other schools are more or less met, and the economy surges forward to the next era. So our statesmen and stateswomen should be considering this- in a globalized economy with asymmetric threats in a variety of theaters, what must we do to keep our nation safe? If another major war starts, what industries do we need here at home, what infrastructure do we need to smooth the flow of goods and people, what technology do we need to win the day, and what must the general contours of our economy look like to support the war effort? Planning for such a contingency- building a new Arsenal of Democracy, a new Forge of the Republic- will not only prepare us for the war, if and when it comes. It will grow the economy in numerous sectors, improve social mobility, and bring about transformative advances that improve human happiness and potential. This dynamism has been intrinsic to the American experience from the beginning- we should reclaim it, in the interests of the future. Tax and regulatory reform, financial regulation, massive investments in infrastructure, education, and innovation, and a maintenance of public-private partnerships currently in existence are all good ways to start.